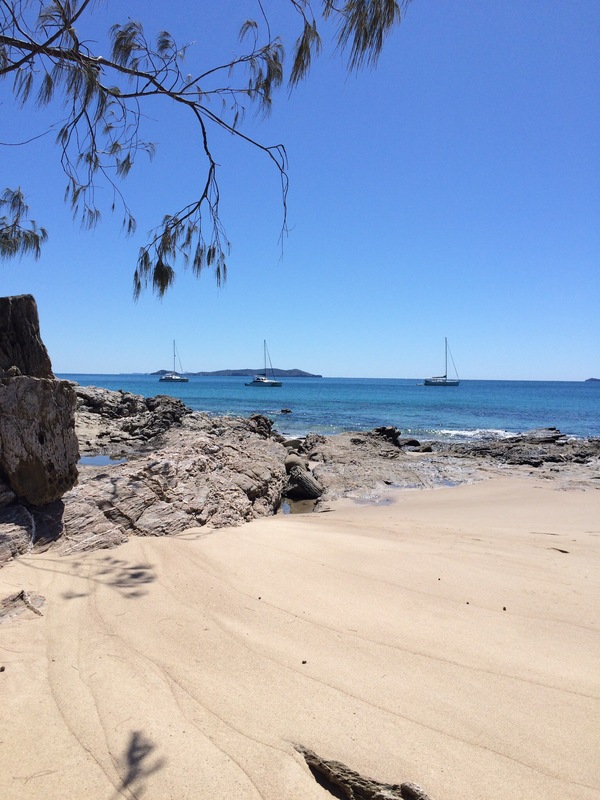 Going to Great Keppel Island was a great decision, however driving there from Brisbane was not! We arrived in Brisbane on Friday evening, and decided to drive to Eumundi and stay there for the night, having been there for the first time last year. That was a good decision, all the more so for meeting wonderful hosts through Air BnB and staying in their comfortable and homely Queenslander that sits over three hectares of land – providing a lovely backdrop to a lovely breakfast chat. Eumundi is known for its fab markets on Wednesdays, and now Friday’s too, and Saturdays. From food to clothes, to jewellery to art, it’s all there at Eumundi markets and worth a visit if that’s your sort of thing. It’s a quaint little Aussie town too. We then set off on the remainder of the 628km journey, expecting to see some sites of Queensland along the way. The fact is, Queensland isn’t that interesting to see from the road, it definitely has wonderful sights to see, but not from a road trip. Living in Scotland, visiting Italy frequently where my family live up in the Tuscan hills and living in New Zealand, I am spoilt for road trips that delight the eyes. We quickly realised we should have just flown to Rockhampton, and this would have allowed us an extra night on Great Keppel. Next time…. 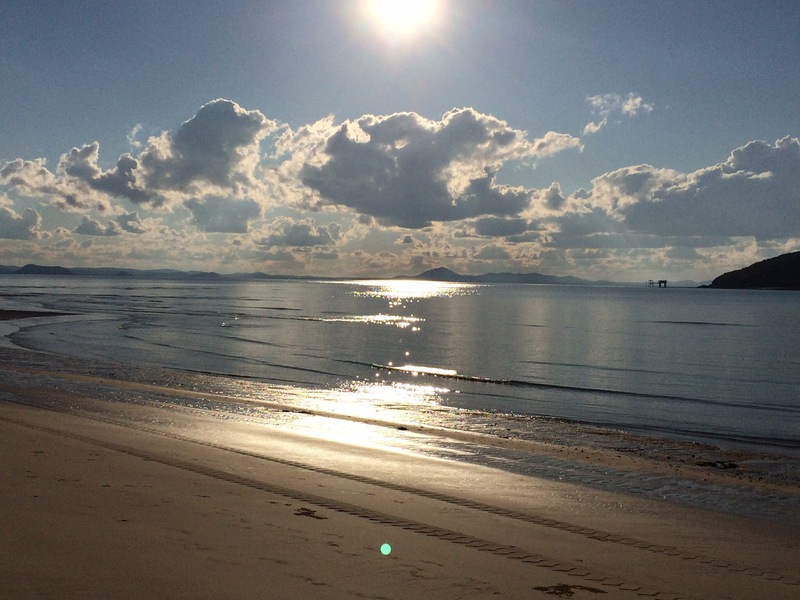 We stayed with another Air BnB host after our long drive, this time in Yeppoon, which is a town half an hour from Rockhampton and close to where you catch the half hour long ferry to Great Keppell Island, or GKI as locals refer to it. The ferry across is in the morning, however the ferry back is in the afternoon, so there is a few hours of cross over between guests, however we scored as we were going to have Keppel Lodge to ourselves for the duration of our two night stay. There is a restaurant at The Hideaway resort, and a snack shop which was low on supplies while we were there, so bring your necessary supplies of tea, milk, bread, etc. depending on how reliant you want to be on the limited choice on the island. There is a Pizzeria but it wasn’t open while we were there. The first thing that strikes you about the Island is the fine, white sand and stunningly clear water, it’s just breathtaking. Popular with boaties, there are always boats anchored just off shore each night. If you are into snorkelling, kayaking, sailing, swimming, SUP boarding or taking long walks along beautiful beaches this is the place for you! Unfortunately there is a huge resort languishing, neglected and unused, on Fisheman’s Beach, although there are grand plans which frankly sound horrific to me and, it seems, to a number of the small few who are actually locals to the island. It doesn’t detract too much, but as we took a walk from Fisherman’s Beach up to a lookout, it did feel like we were walking through a set for “Lost”! Another day we retraced our steps up to the lookout then continued on and over to the other side of the island, to Leeke’s Beach. Another paradisaic beach, with not a soul to compete with. We took a Kayak trip out to a small island then it was snorkel time out to the disused underwater observatory – a great spot for seeing lots of fish, if not so much for the Coral. The water is so beautifully clear, it created a wonderful sensation as we kayaked across. Brett is a local and he guided us, giving an insight to what is going on and how things have changed and the good spots for coral or fish sightings – he arranges tours from The Hideaway. 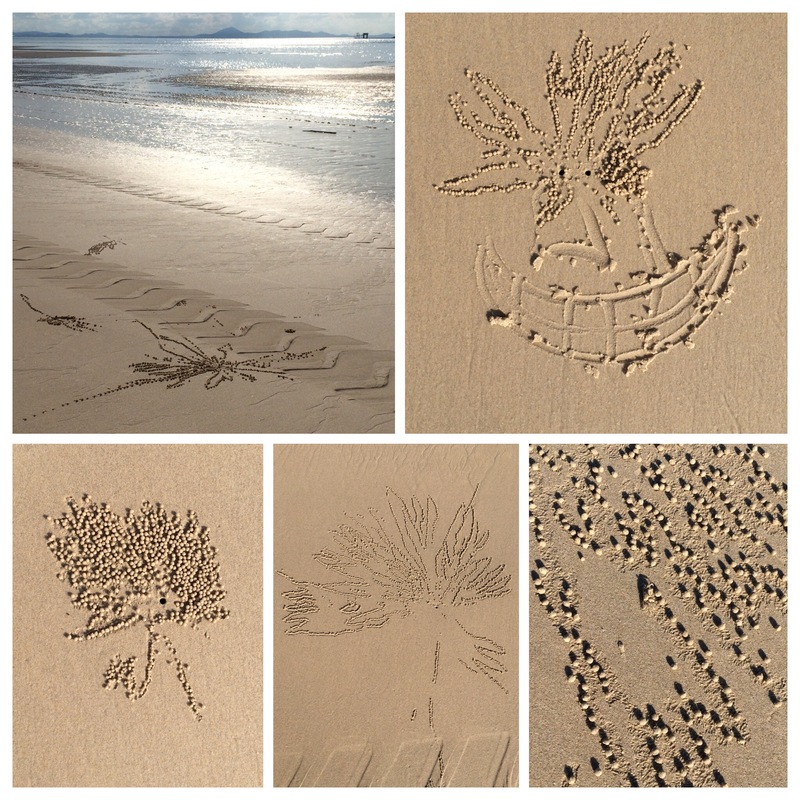 We noticed lovely patterns in the sand, made up of tiny, perfect balls of sand. Intregued, we watched for a while and realised the artists were teeny, tiny crabs! We watched as they scuttled across the sand, dashing down holes and the popping sand balls out! On our return from a walk in late afternoon the sea was so flat calm it resembled glass and allowed us to easily spot Dolphins fishing – wonderful! If you want to get far from the madding crowd, chill out and relax in beautiful beach surroundings then I’d recommend it – just don’t drive there! I think out timing means it was fairly quiet, however in school holiday time it’s rather busy. We stayed at Keppel Lodge – great hosts in comfortable if tired accommodation, rooms are directly off the central living, dining kitchen area. I’d describe it as old school NZ Bach style accommodation. It is just off the beach, and a stroll from the snack shop and Hideaway. The kitchen is well equipped for self-catering. We ate at The hideaway – with little competition and seasonal staff, it’s a pleasant place and the food was fine but they don’t make that much effort and the staff are clearly there to make their cash and have days off at the beach. We kayaked with Brett who runs tours from The Hideaway. 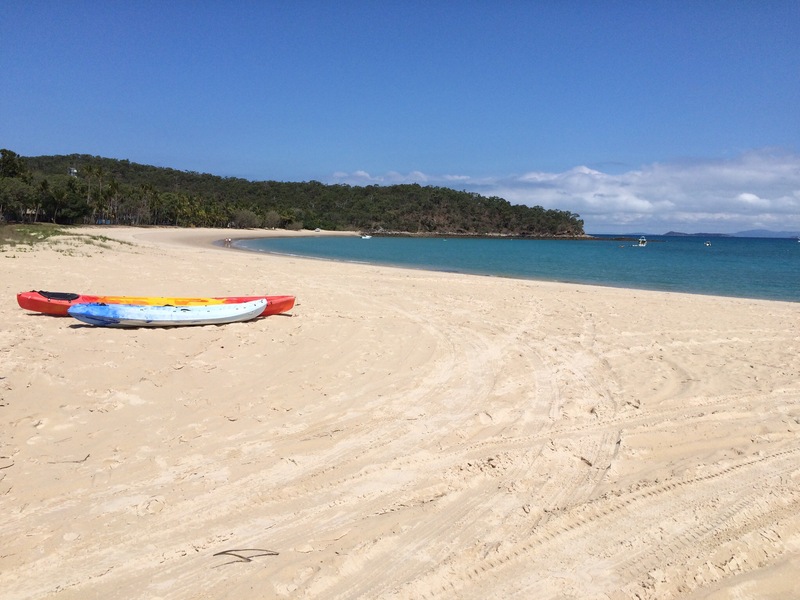 Tagged with Australia, Capricorn Coast, Great Keppel Island, island getaway, lp, Queensland, Travel.